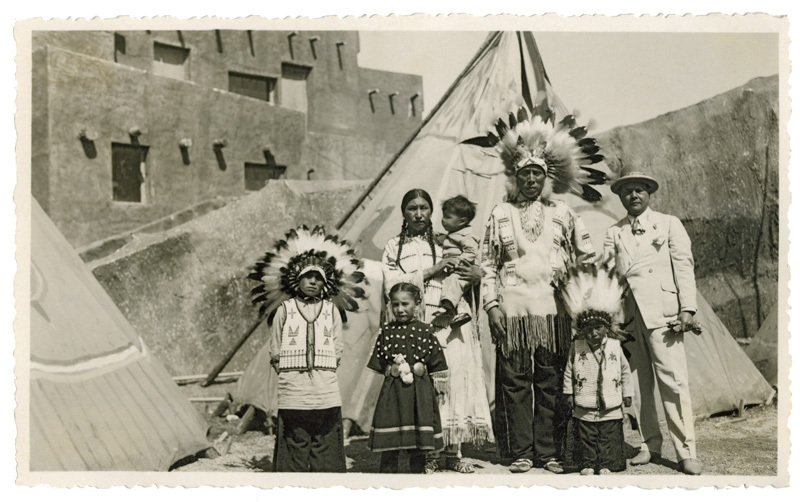 The Little Moon family poses with a visitor to the Indian village in Brussels, 1935. More children, including Joe and Rosa's youngest, Walter, would be born to the couple after they returned to Pine Ridge. Joe was killed by lightning eight years after their return, and Rosa had to raise their seven children on her own.